Dr. Stephen Knott is one of America’s leading authors and scholars on Alexander Hamilton. Dr. Knott is a professor of national security affairs at the United States Naval War College in Newport, Rhode Island and a former professor at the United States Air Force Academy. He graduated from Assumption College in 1979 and received his Ph.D. from Boston College in 1991 and an honorary doctorate from Assumption in 2013. His most recent best-selling book is Washington and Hamilton: The Alliance That Forged America. Professor Knott was designated a National Hamilton Scholar in January, 2017, by the Alexander Hamilton Awareness Society for his outstanding scholarship, research and writings on Alexander Hamilton. 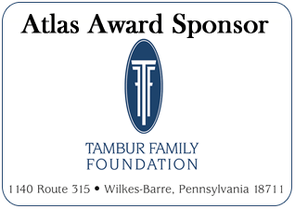 ​​During this event, we will be presenting NEPA business leader, Mary Erwine, of Erwine Home Health & Hospice, with ‘The Atlas Award for Citizenship in recognition for her long life of philanthropy, entrepreneurialism, and investment in Northeast PA.